Serious, chronic and recurrent infections are often resistant to treatment because they involve organisms that are protecting themselves behind clever defences. These protective mechanisms are called Biofilms and can make the eradication of a large number of infections very difficult. Bacteria and funghi are able to develop resistance to our immune defence and to drug and natural treatments which may result in persistent infection. Corene Humphreys has researched biofilm defences extensively. Her three part program closely assesses how and where biofilms develop. How we can identify biofilm presence and what we need to do break their defences. For most health care practitioners, medical microbiology was not a core part of our foundational education. Significant advances in field of medical microbiology have resulted in bacterial reclassification and changes in nomenclature for many microbial species. This webinar examines how bacteria are identified in the lab, and the diverse virulence factors that organisms use to avoid our defences. You will also learn which organisms are normal, opportunistic and/or pathogenic. To assist us to understand biofilms we will also study the clinical conditions and immune responses associated with acute and chronic microbial infections. We also need to understand the different characteristics of bacteria and yeast. This helps us identify the mechanisms biofilms use to flourish in the human host. Based on research from the National Institutes of Health, over 60% of microbial infections in the human host are caused by biofilms. 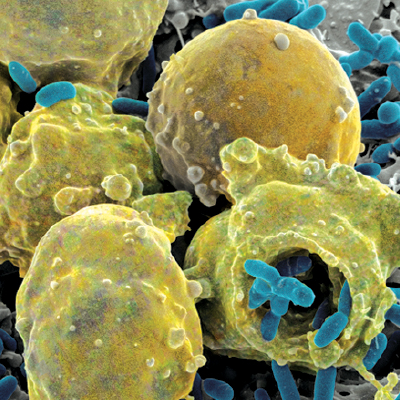 As complex self-assembling communities, biofilms can evade immune surveillance and antibiotic treatment, thereby rendering individuals susceptible to chronic and recurring infections. This webinar covers the five stages of biofilm development and details the specific advantages biofilms have over free floating bacteria. We will also see which specific bacteria are associated with biofilms, including fungal biofilms and especially their association with stubborn Candida infections. Because of the sophistication and complexity of biofilms, eradication requires a multimodal approach. This webinar looks at the four key ways we can disrupt biofilm and return these bacteria to a vulnerable free floating state where immune responses and therapeutic strategies can successfully kill them. You will learn about the science behind the specific botanicals that are effective. Which active constituents interfere with biofilm formation and which microbial organisms each herb has been proven to eradicate, based on in vivo and in vitro research. We are also going to use sophisticated biofilm destabilisers such as proteases and probiotics to break biofilms. A holistic diet is necessary to maintain reliable immune and protect against biofilm and we will detail this in this final presentation. 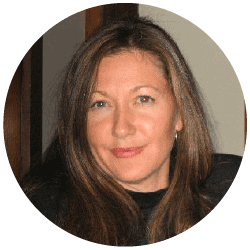 Corene is a registered naturopath from New Zealand with over 25 years’ experience in the medical industry. She received her qualifications from Auckland University of Technology (Microbiology), the South Pacific College of Natural Therapeutics Inc. (ND, Dip Med Herb, Dip Hom) and Charles Sturt University (Bachelor of Health Sciences). Purchase this event and receive access to our previous Breaking Biofilm class complimentary. Nett JE – The host’s reply to Candida biofilm. Uppulri P – Go forth and colonize: Dispersal from clinically important microbial biofilms. Karygianni L – Natural antimicrobials and oral microorganisms: A systematic review on herbal interventions for the eradication of multispecies oral biofilms. Chessa D – Staphylococcus aureus and Staphylococcus epidermidis virulence strains as causative agents of persistent infections in breast implants.